Download the Manistee National Golf & Resort mobile app to enhance your experience. Mobile apps contain many features like scorecard, GPS, tee times, news, deals and more! Click on the icons for more information and free download. 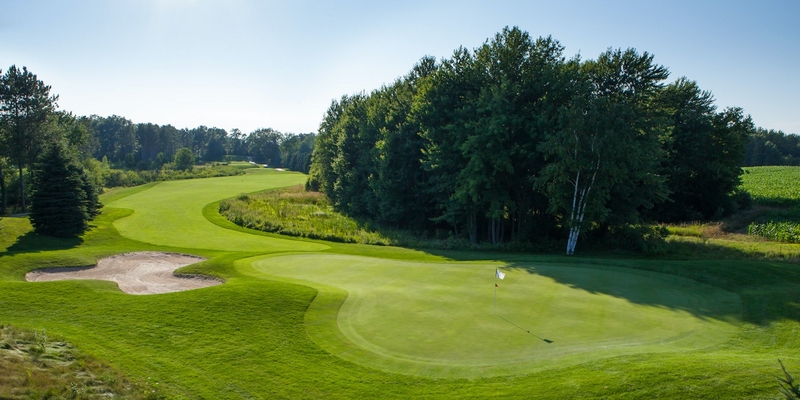 Manistee National Golf & Resort nestled among Northern Michigan's towering pines; Manistee National is home to 36 holes of championship golf, 42 luxurious guest rooms, well-appointed meeting capabilities and the Osprey Grille. 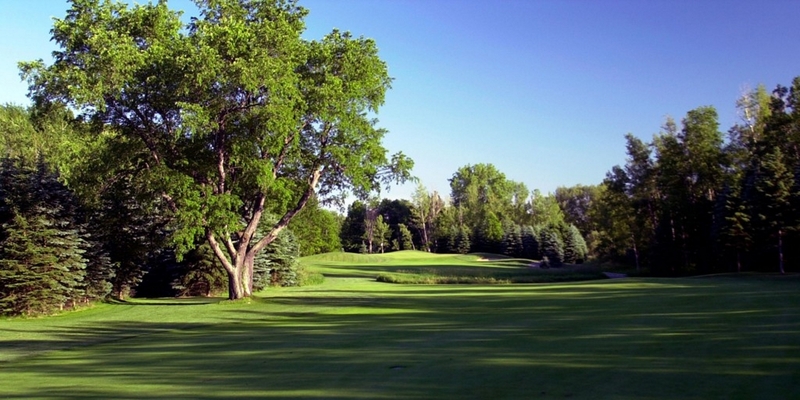 Manistee National features two, par 71 championship courses that will test the skills of golfers of all abilities. Cutters' Ridge is the resorts destination course drawing golfers from far and near wanting to test themselves. Canthooke Valley meanders through hardwoods and pine forest presenting a softer, yet still challenging test of golf. Get ready to play fabulous traditional-style golf on our Canthooke Valley Course. The rolling fairways here are planted in Kentucky bluegrass that sets your ball up high for easy contact. The layout, done by Michigan architect Gary Pulsipher in 1993, meanders through hardwoods and a white pine forest. The course then opened in 1994. "I tend to think it's the finest course that Gary ever designed," said Douglas Bell, general manager and director of golf at Manistee National Golf & Resort. This was the first course built at Manistee National and is beloved by everyone from high handicappers to scratch golfers. It will test the best and yet be playable for golfers of all abilities. 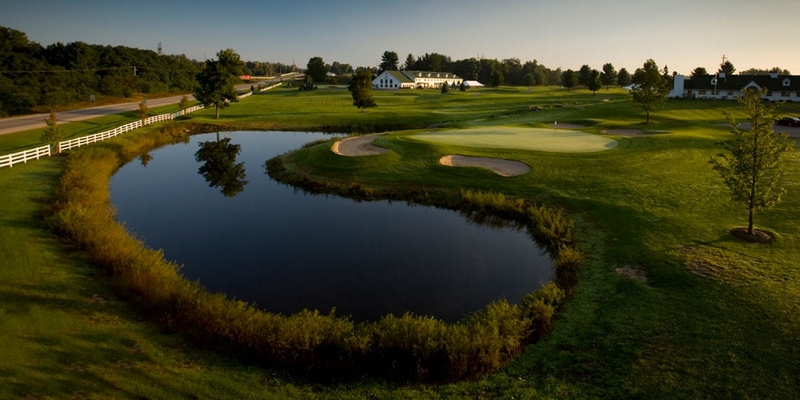 You'll face generous fairways and only a few forced carries at Canthooke Valley. However, the moderate-sized, bentgrass greens are well-bunkered, and some ponds, marshes and trees threaten your path to the greens. Every hole has a lot of individual character and personality so that your round will offer new excitement whenever you turn a corner. A thinking golfer's favorite among the marshes of Manistee, Michigan. One of the great things about our Cutters' Ridge Course is how its personality differs from that of Canthooke Valley, giving you, the golfer, a chance for yet another very out-of-the-ordinary round of 18. The variety will amaze you. While Canthooke lies on sandy soil, Cutters' Ridge has a more clay-like soil. The fairways as well as the greens at Cutters' Ridge are paved with bentgrass. While Cutters' Ridge also has stunning trees, its major distinctions are the marsh and wetlands on this site. Michigan's outstanding golf architect Jerry Matthews, known for his designs at the Grand Hotel at Mackinac Island, Hunter's Ridge in Howell and TimberStone in Iron Mountain, laid out this course in 1999. It opened in 2000. 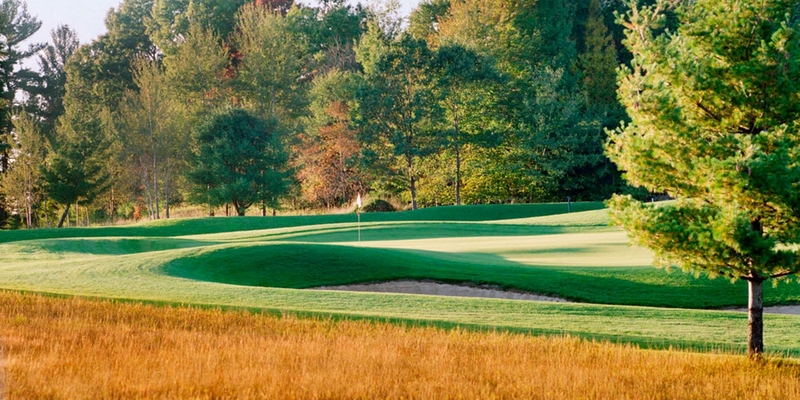 At Cutters' Ridge, Matthews succeeded in blending the beauty of the site into one of the state's most outstanding courses. This is also a course that accomplished golfers from throughout the state long to play because it has one of the highest slopes in Michigan. Shorter hitters can relax, however, as there are five sets of tee boxes here, with one set sure to match their skills. Please call 231-723-8874 for current rates. Call 231-723-8874 for rates and tee times. Contact Manistee National Golf & Resort at 231-723-8874 for more information and details on holding a golf outing at the course. The Inn at Manistee National, voted best lodging in Manistee, Michigan. Our 42-room Inn at Manistee National Golf & Resort is nestled between our two stunning courses, Canthooke Valley and Cutters' Ridge, and is surrounded by Michigan's Manistee National Forest. All of our rooms, including the 12 suites, have recently been renovated and upgraded and offer a very comfortable location for your outing or tournament group to spend a night, a weekend or more. 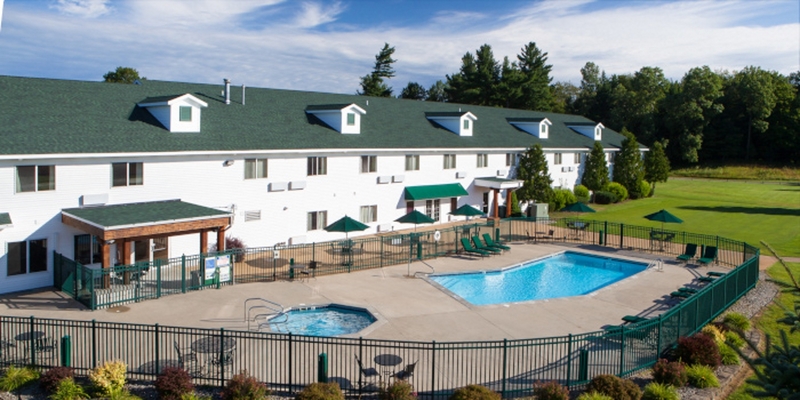 Besides our indoor pool and whirlpool, we also offer an outdoor pool and whirlpool, perfect for relaxation for the whole family. You can unwind in the only hotel lounge in town, sipping the beverage of your choice while checking out the latest games on our flat-screen TV. Or cool off at the new outdoor pool/patio complex. Our clubhouse is home to the on-site restaurant, The Grille, boasting delicious daily specials or hearty cuisine from our full menu. Contact Manistee National Golf & Resort at 231-723-8874 for onsite or nearby dining options. This profile was last updated on 12/13/2017 and has been viewed 12,284 times.